I just watched the final raid sequence for about the 1,000th time! It is a cracking sequence with LC, armed with a machine gun, leading the troops to gun down the terrorists. I seriously wonder how many times I have seen this film since I first saw it in the cinema in September 1982. I rented it on VHS in the mid 80s, bought it on DVD and twice on BD (to get the different Extras!). I wonder how many kids recreated the movie with their Action Man SAS figures? 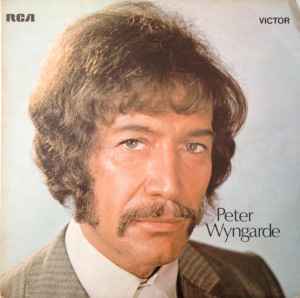 I do like the way the music kicks in when the SAS troopers are running down the corridor as they "go after the girl!" 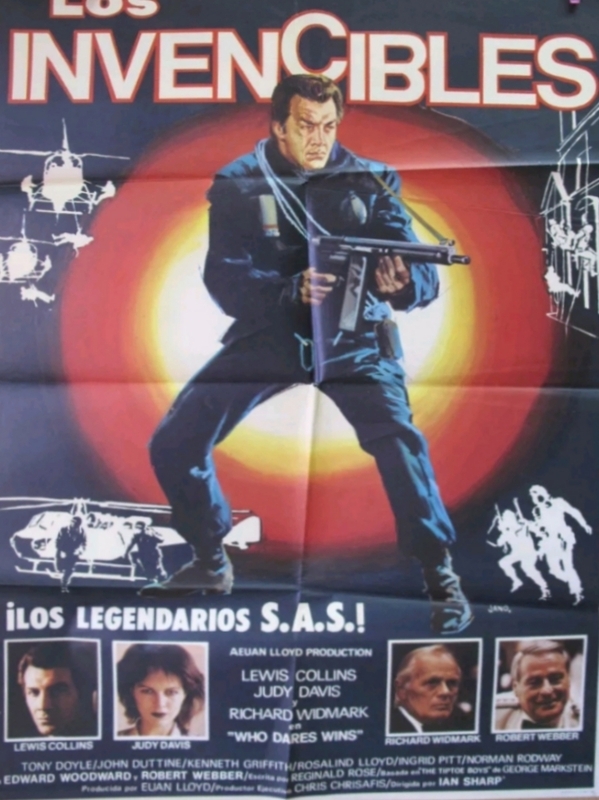 It's such a shame the movie didn't lead to better things for Lewis Collins. As kids we used to reenact the embassy storming scenes on the way to school on a seemingly daily basis as I recall haha ! I remember that scene of Lewis leading his charges down the corridor being used to promote the ITV premiere of WDW in 1985. Made me want to watch it even though I was too young. That scene was also used by the pay cable movie channel HBO to promo the movie when they ran it in the US which is how I first saw it. Never tire of watching this. When my copy arrived... no booklet! I emailed the company, but didn't get a reply. So, has anyone here got the booklet? IF so, could you post some scans or at the very least let me know what's in it and if I've missed out on anything worth having. :-( no booklet - that's naughty ! I think Arrow's office is in Radlett (a few miles from me) , I'd be knocking on the bleedin' door mate demanding justice ! Radlett, eh? Next time I visit Brian Bennett or Alan Hawkshaw - not that they'll let me in again - I might do that! Last time I was down that way, it was to the village nearby where they shot 'Village of the Damned' - Letchmore Heath. I'm betting that you'be had the odd pint in The Three Horseshoes! Lovely area. And you can smell the money. I think I went into the Red Lion. On the opposite side of the road to the train station. Very posh toilets! But I digress. I was a bit unlucky with Who Dares Wins. The booklet is 20 pages. It contains shots from the Rank Organisation Press Book, an article on the making of the movie by Ali Catterall, Euan Lloyd's Notes and an interview with David Wickes. Its a good read but sadly I don't own a scanner. A pity they didn't do a sequel which would have seen Skellen in the Falklands. I just came across this pic today. Obviously taken from the blu-ray judging by the quality. Sorry, I couldn't resist. That's the first thing that came to mind when I saw this. Who Dares Wins is on the London Live channel (Sky ch.117) this Friday at 10pm. since buying this on blu-ray about six months ago, I've been waiting for the perfect moment to watch this. Being that yesterday was Remembrance Sunday, this seemed to be the perfect time. So that's what I did. Must have been the first time I'd seen it since it was shown on TV a few years ago. I really enjoyed it. Lewis is good as the sort of Bondish Peter Skellen - even if a few shots here and there betray the fact that he is shorter by a good few inches than most of his co-stars. Not a big deal - mind you, I know the feeling and always lie about my height - but I wonder if this may have been a factor in him not getting the chance to play the real Bond? I remember being slightly disappointed at the time that we don't actually see Lew attired in the black SAS combat outfit - especially since I saw a photo of him in 1981 wearing it. Still, that's a minor quibble. Watching it last night, I realised just how good an actress Judy Davis was (and I'm sure still is). Her facial emotions being quite extraordinary upon her first meeting with Skellen. I can't help feeling that she was 'slumming it' slightly doing this film. Her hair looks great too! Having been watching Danger UXB recently (and just prior to watching this), it's hard to imagine Maurice Roeves playing anything other than an army type. He's just got the bearing and the voice off to a tee. Someone said somewhere that the band that plays in the Union Chapel is the kind of band that never existed anywhere outside of a film. I have to agree! What were they? Hells Angels... hippies... Chas and Dave? I noticed Dave Pegg on bass (from Tull and Fairport Convention), the others I didn't know. I went to the Union Chapel back in January to see Olivia Newton-John (yes, I'm a fan!) and sat in the balcony to the right (left as you look at it) of the pulpit. The place looks the same as it did all those years ago, which is not surprising really. There wasn't a big fight that night though. Although I did my best to start one. It occurs to me that during the hostage situation at Skellen's mews house, it would have been a lot quicker (and probably safer) just to have burst in through the front door! Still, that wouldn't have looked as good as blowing a huge hole in the wall. Authentic or not, the final climactic attack on the house looks incredible! Even after all these years, I was on the edge of my seat. It seems incredible that it is now exactly 35 years since I first saw this film. I remember like it was yesterday, going to the cinema with my brother and sister and a friend from school, late in 1982, to a cinema that has long since closed down. 35 years! I can't believe it. I won't be around in another 35 years and I wonder when I shall watch this film again and how many more times. Once, twice? The passing of time is frightening. 6 Days - based on the actual events that inspired this film - will have to be good to match this. 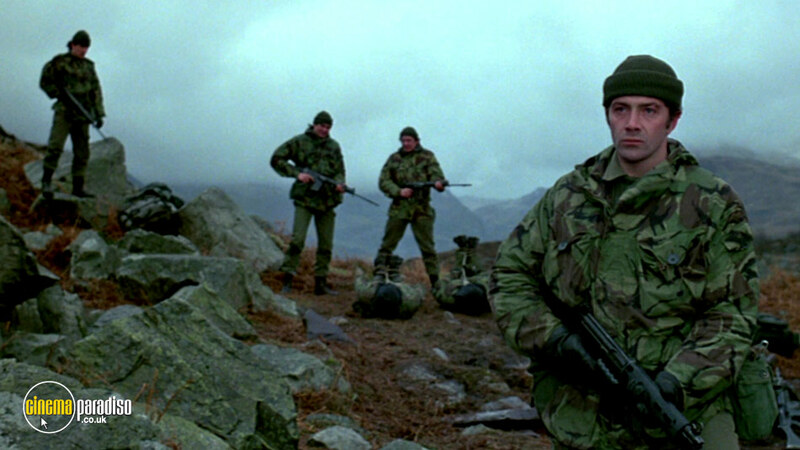 Who Dares Wins may not be a masterpiece, but I love the film and remember how we all felt excited, not just by the events depicted in it, but for Lewis Collins, who seemed to be on the brink of movie superstardom. Strange how it never happened. A great film, with lots of positive memories attached. For me anyway, it's a 10 out of 10. It was interesting at the Book launch yesterday when Diane Keen (Who was fairly close with Lewis after working with him for a few years on Cuckoo Waltz) said that she felt Lewis was quite insecure despite it not showing on the surface very often, and that she felt he wouldn't have made a good Bond because he didn't quite have the class to pull the role off, unlike with Bodie which she felt was the perfect role for him. I think Lew said at the time that he wanted to change the character of Bond and bring the character closer to it's book roots and away from the gadgets; maybe this simply wasn't what Albert Broccolli was looking for. I think Lewis was at his best when he made the part his own, as he did with Bodie, and I imagine he did the same with Skellen. Infact I think a large part of the reason why the Klansmen episode doesn't work for me is because Lew played Bodie in such a brilliantly likeable way for the rest of the series that we just couldn't believe him when he's shouting bigoted racial slurs, and I don't think Lew really believed in the lines he had to say either, which resulted in probably one of his worst performances. But in Brian Clemens' original brief Bodie is established as someone who "Calls a spade a spade, and is up for fighting a room full of them", so it seems to me that maybe this didn't fit in to Lewis' overall vision of Bodie; he was fine with being politically incorrect but 'racist Bodie' almost takes away a lot of the character traits such as the tongue-in-cheek humour which Lew excelled at. Anyway, it's an interesting thought that Diane got me thinking about. I'm the other way round; I've yet to watch WDW but I have seen 6 Days. I think you can see Lew's influence in the character of Rusty Firmin, (Jamie Bell) who is the main SAS character in 6 Days, although I would say that the character doesn't resemble Lew's humour he definitely matches him in terms of intensity. 6 Days is effectively a slow-burn tense hostage situation drama with a big action scene as the climax; I went in with medium to low expectations and enjoyed it a lot despite one or two silly issues/historical inaccuracies which I mentioned in my review of the film on it's own thread elsewhere on this forum. That is a huge insult to Lewis Collins! I'd say you had a lucky escape there. Catteral's an acquaintance of a friend of mine and I can confirm he is a complete and utter berk. Last thing I read by him was a piece on IMDB foaming all over one of Dave Courtney's cockney geezer efforts. And he expects to be taken seriously as a film critic? Jog on.